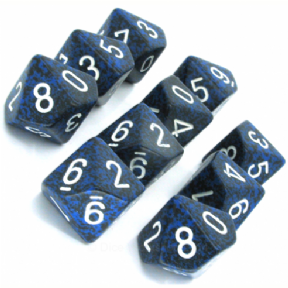 A blue and black 'Stealth' speckled D10 dice set by Chessex. Includes ten dice. 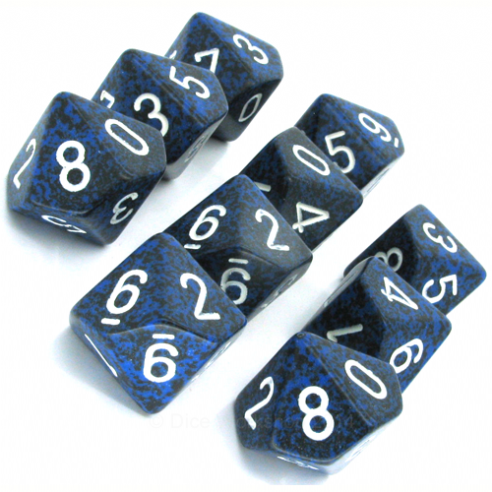 A blue and black 'Stealth' speckled D10 dice set by Chessex - a high quality dice manufacturer. Includes ten individual 10 sided dice. These dice are of the standard 16mm size normally used for boardgames and roleplaying games. Ten sided dice are particularly useful for percentages and Dungeons and Dragons!